I am a huge fan of the Magic Belles. I have had the pleasure of working with them on a baking project in the past and my girls are members of their Flutterby club, so when I was asked to review their new CD, Magic Music, how could I refuse. 6. How Does Your Garden Grow? The music is aimed at children aged between 3 and 7 because the idea behind the CD is to bridge the gap between nursery rhymes and grown up pop songs, I have to say I think they have managed this brilliantly. The songs are fun, positive and catchy. With lyrics that can easily be sung along too and you can even watch videos for a couple of the tunes here. I think Gracie who is 4 seemed to get the most enjoyment out of the CD but all of my children were more than happy to be dancing and singing along to the lyrics. They even dressed up as fairies at one point, I guess they were trying to be like the Magic Belles. We all agreed that our favourite song is The Rainbow Song, I liked that they were learning a bit about colours whilst enjoying themselves. I think this is the perfect CD for all little girls and to be honest I think little boys would enjoy the songs too. 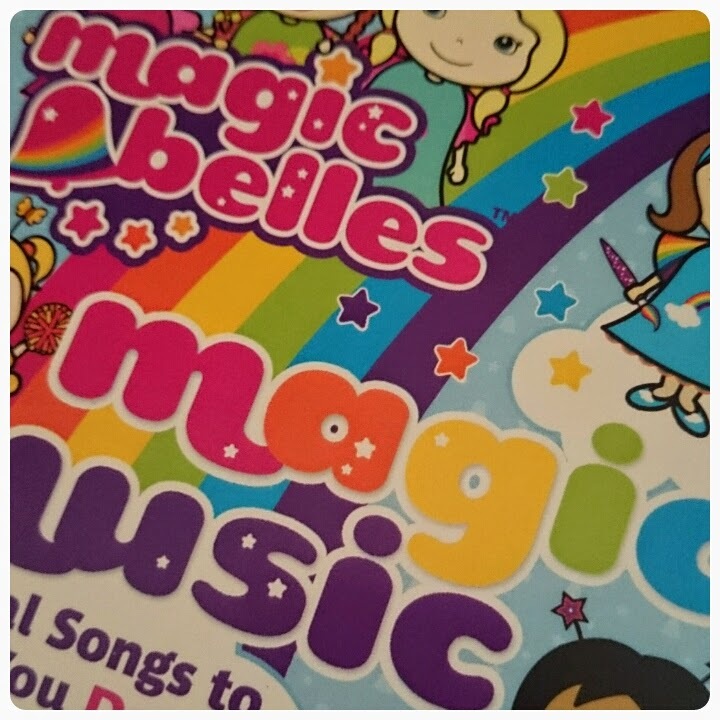 With a mixture of slower and faster paced songs, it is absolutely brilliant for anyone that is already a fan of the Magic Belles but also a great way to introduce your children to some new music. The songs aren't currently available to buy in the shops but you can find them all online on iTunes, Amazon and Google Play. Disclaimer : I was sent a promo CD free of charge for reviewing purposes however all thoughts and opinions are my own. Amelie and Lottie are in the Flutterby club too, they get so excited when their mail arrives! We have yet to purchase the cd, it looks fab!